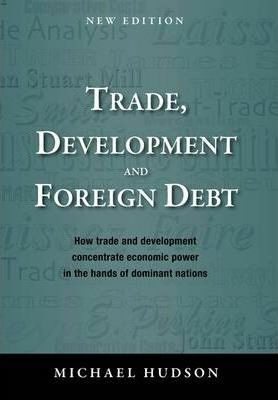 In this survey of international economic thought, Michael Hudson rewrites the history of trade, development and debt theorizing. He shows that mainstream free-trade surveys are censorial in excluding the protectionist logic that has guided the trade policy of Europe and the United States, especially by leaving out discussion of the transfer problem and payment of international debts. He points out that most economists throughout history have focused as much on war financing as on trade and development. Free-trade ideology and IMF-style financial austerity under today's rules, rather than benefiting all parties and maximizing welfare, leave "client" nations severely indebted. By excluding dynamics that used to be central to trade theory such as emigration and technology transfer, today's global production and financial policies tend to concentrate economic and political power in the hands of dominant nations. Prof. Michael Hudson (Economics Department, University of Missouri, Kansas City) is a frequent contributor to The Financial Times, Counterpunch, and Global Research.